On the heels of the announcement Tuesday that Connecticut was set to consider a move to February 5, several other states got closer to moving their own delegate selection events. Barack Obama's campaign got a bit of a boost yesterday when his home state of Illinois took the first step toward moving its 2008 presidential primary into the logjam on February 5. The Illinois House overwhelming (110-4) backed a plan to move the primary from March 20 to February 5 according to the Chicago Tribune. This would give Obama a good chance at a potentially "easy" state with numerous delegates. But it would be a state that he would absolutely have to take, one would think, to remain viable in the contest. I haven't strayed to far into candidate strategy in the blog thus far, but there is a scenario where he could win several other prized states and still lose Illinois. Typically though, losing one's home state is a harbinger of things to come and is certainly something that would get some mileage in the press. As reported at newshorn.com, Louisiana Secretary of State, Jay Dardenne, mentioned in a radio interview that plans to move the state's 2008 presidential primary to an even earlier date than the current February 9 date are being considered by the state legislature. One interesting plan being considered is making the primary a non-binding beauty contest and holding it simultaneously with the November 2007 gubernatorial election in the state. In Dardenne's own words, this would save the state the one and a half million dollars the presidential primary would ordinarily cost. Additionally, the non-binding nature of the contest would exempt it from the delegate selection rules of both national parties. "We're still determined to go earlier than any state that violates the scheduling rules. That applies to New Hampshire. It applies to any state. Any state that violates the schedule will trigger us going earlier." Another possibility is that both state parties agree to hold either their caucuses or semi-closed primaries on the same day. Oregon's legislature has also been tinkering with the idea of moving the state's May 20 presidential primary to, believe it or not, February 5. That plan (House Bill 2084) unanimously passed the House Elections, Ethics and Rules Committee yesterday, blogger Edward Walsh at The Oregonian reported. Because of the plan's $2.3 to $2.8 million price tag, it must first clear the Joint Ways and Means Committee before moving on to a formal vote. No paper in Texas wanted to report what House committee in the Texas legislature passed a plan to move the state's 2008 primary to February 5, only that it has passed a committee. Of those papers in major Texas cities, the Dallas Morning News has the most informative summary. Even that may be due to the fact that a local representative, Helen Giddings, introduced the bill (HB 2017). The Texas legislature's web site confirms that HB 2017 was voted on and passed by the House Elections Committee. Here is the bill's language and here are the minutes from the committee's meeting. The plan would move the primary from the first Tuesday in March to the first Tuesday in February. The Norwich Bulletin reports that the Government, Administration and Elections Committee of the Connecticut legislature is set to discuss on Friday a plan to move the state's 2008 presidential primary to February 5. The plan would move Connecticut's primary from the first Tuesday in March to the first Tuesday in February in 2008. New Hampshire Primary to Stay Put? "Like we have before we are going to honor the Iowa law. I hope [Iowa] will honor ours as well." The implication there is that the state is not looking into jumping ahead of the Iowa caucuses to counter the rush to February 5. 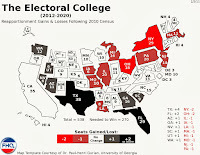 Much of that depends not on Iowa though, but other states threatening to further upend the traditional beginning to the presidential nomination process. I say this with the South Carolina Republican Party's potential move in mind. Should that move into 2007 come to fruition, New Hampshire would certainly not stand by idly and allow its traditional position to be swiped. Thanks to The Caucus at the New York Times for the link to the report. Though the measure will not come up for a formal vote until April 4, the executive committee of the Nevada Republican Party has decided to move the party's caucus to coincide with the Democratic presidential caucus on January 19. The LA Times reports that the party has cited several reasons for the move. First, the rank-in-file members of the state party objected to the move earlier this month to a February 7 caucus date as not early enough. The party also raised concerns about the Democratic build up in the state for the earlier caucus turning the state blue in November 2008. This move, like those in South Carolina and Florida, would be subject to sanctions laid out in the national Republican party's delegate selection rules. However, Nevada Republicans are making the move and hoping that the national party suspends those rules when more states ignore the delegate selection window described in those rules. The vote by the Florida House of Representatives last week to back a plan moving the state's 2008 presidential primary to January 29 has provoked a response from the South Carolina Republican Party. In my Florida post late last week, I largely focused on Florida horning in on the national Democratic Party's plan to include South Carolina's primary in the pre-window phase of the presidential primary calendar. The state's Democratic primary is the one scheduled for the 29th; the one with which Florida's would directly conflict. The Republicans follow on a few days later on February 2, the Saturday before the de facto national primary on February 5. There are a couple of things at play here. One is that South Carolina is one of just a few states who have party-run presidential primaries. What that means is that the state parties are the ones in charge of setting up and financing the election and not the state legislature. This ultimately gives a state like South Carolina more freedom in avoiding legislative wrangling over whether and where to move a presidential primary that may plague other states. If the party feels like the move is in the its best interests and if the benefits of moving outweigh the national party sanctions associated with the potential move, then it is fairly easy to make the move happen. The other thing is a bit of an oddity. It is that the Republicans are the party discussing a move and not the Democrats. That may be attributable to a South Carolina Democratic Party reluctant to move from the choice position in which the Democratic National Committee allowed them to set up shop for 2008. Now the GOP in South Carolina would certainly see a loss of attention because of Florida's primary before and the "national" primary after, but at least the primary would be the only thing in town on that particular Saturday. And the party's chairman, Katon Dawson, is not just talking about moving according to The State in Columbia, he is talking about a monumental shift to an October 2007 primary to protect the state's nominating status. There have been straw polls late in the calendar year prior to a presidential election year in the past, but these events never had anything to do with the distribution of convention delegates. This proposed move would certainly alter that. Talk recently has had New Hampshire moving up, forcing candidates to campaign during Christmas, but if the South Carolina GOP follows through on their threat, candidates may be forced to share door time with candy-seeking kids on Halloween. There is no word out of Concord, but at this rate, New Hampshire may hold their primary next week. The AP reports that both the New York Senate and Assembly voted on Wednesday to bump up the state's 2008 presidential primary to February 5. 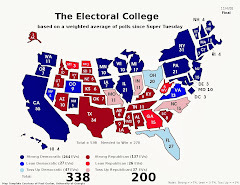 In essence then, once Governor Spitzer signs the bill (a formality according to the article), New York will have moved from the old Super Tuesday (first Tuesday in March) to the new Super Tuesday (the first Tuesday in February) for the 2008 cycle. 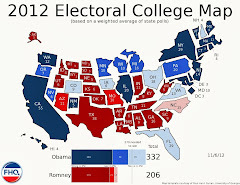 If Florida's plan to move to January 29 passes muster, the 2008 primary calendar will feature three of the country's four most populous states clustered just one or two weeks after the New Hampshire primary. And Texas has at least discussed moving to the 5th as well bring all four of those states into the first month of the process. The South Florida Sun-Sentinel has reported that the Florida House passed a plan to move the state's 2008 presidential primary to January 29, a week ahead of the cycle's Super Tuesday on February 5. This potential move is consequential for a couple of reasons. First, Florida becomes the earliest big state. Secondly though, this proposed date falls outside window of time both parties have set aside for presidential primaries to be held. The move also interferes with the Democratic primary in South Carolina on the same day. South Carolina was one of the centerpieces of the Democratic Party plan to integrate more African American and Latino voters into the early portion of the nomination process. This integration is motivated by a perceived need to make the early contests more representative of the Democratic electorate as a whole. Along with Nevada, South Carolina moved into the pre-window period usually reserved for Iowa and New Hampshire. Now, what does any of this have to do with Florida, a state that certainly has its share of both African American and Latino voters? Well, if the proposal makes it through the Senate and is signed by Governor Charlie Crist, then Florida is in violation of Rule 20.C(1) of the Delegate Selection Rules developed by the Rules and Bylaws Committee of the Democratic National Committee. Sadly, the Democratic Party has yet to post these rules anywhere online that I can find. However, several sites make mention of the sanctions for both state delegations and candidates if this rule is violated. Here is the language of the rule from The Green Papers and here is the same language on P2008. So, if Florida were to move to January 29, not only would the state delegation (including alternates) shrink by fifty percent, but candidates campaigning there would stand to lose pledged delegates and delegate votes from that state. On the Republican side, the rules are laid out here. Rule 15 discusses the issue of primary/caucus timing and Rule 16 details the sanctions for violating that rule. Under the GOP provisions, a state delegation would be reduced by fifty percent if the decision by the state was made prior to the party's call to the convention. If a decision to move is made following that call then the delegation would suffer a cut of ninety percent! Those seem like significant penalties. But the vote in the Florida House featured only one dissenting vote and that would appear to indicate general support for the plan. Georgia's House of Representatives acted Tuesday to move the state's 2008 presidential primary to February 5 according to a Wednesday article in the Atlanta Journal-Constitution. The National Conference of State Legislatures identifies April 17 as the last day of the legislative session, so the Senate will undoubtedly move on this proposal before then unless the session is extended. And given 154-11 vote in the House, there appears to be enough support for the measure. Below is a look at how the 2008 presidential primary/caucus calendar was as of March 20, 2007 according to the National Association of Secretaries of State. The link to NASS .pdf file of the calendar can be found here. This calendar, while not ideal because of only sporadic updates, is a good baseline for comparison as I begin to build a time line of calendar change for the 2008 cycle. In tracking changes that have already occurred in the primary calendar, there are a couple of other helpful resources. Both thegreenpapers.com and P2008 offer more detailed approaches to the calendar than does the NASS. All three sites will be in the links area as I continue to add to the blog. NOTE: This calendar is a working draft based upon state election office reporting and credible media reports. Dates are subject to frequent changes. State dates that are under consideration but not yet finalized list the state in bold italics. 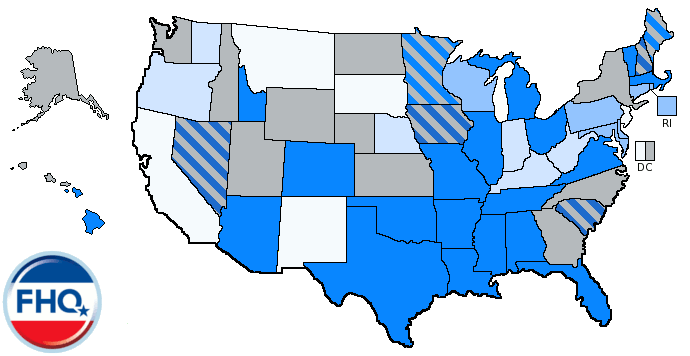 States with an asterisk (*) beside their name have indicated that their contest could move to another date, but have not provided alternative dates. Some states are not included because they have not provided information to the NASS office regarding their primary/caucus dates.